India's Bayer building received the highest LEED score in the world! 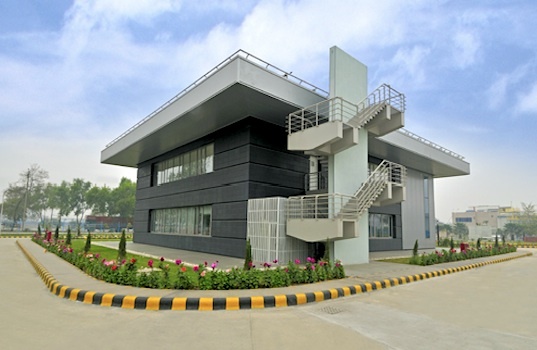 The 10,000 square foot zero-energy office building is located just outside of New Delhi. See the photo at right, and Inhabitat has the details. Sustainable "green" roofs can suppress urban heat and water runoff. Learn more about the risks and benefits of white, green, blue, and solar-panel black roofs in this article from The New York Times. Sustainable construction is about more than building green. See how cultural change, community outreach, field training, and LEED play into it. See how some companies lead the way, in Construction Executive's article. Check out the innovative technologies we've seen at Hexagon 2012 in our latest blog post!